Retirees have favored retirement communities in North Carolina since the twentieth century. Famous names, including F. Scott Fitzgerald, Henry Ford and Thomas Edison, made this state their home during summer months and ultimately during their retirement years. Today, retirement communities in North Carolina have grown in popularity. Before, many retirees sought quiet retirement in warm coastal areas, like Florida; however, now, they re seeking destinations with four-season-climates, continuing education, and proximity to cultural and recreational attractions. North Carolina retirement communities have emerged as popular second retirement destinations for the so-called "half-backs" or "second chance" retirees. These individuals first retired in places like Arizona and Florida and then settled in North Carolina for one reason or another. Many 55+ aged individuals who have settled in retirement communities in North Carolina continue to work part-time or full-time. The state provides a great environment for those who want to continue to work. North Carolina is the most industrialized state in the south and is a major hub for the high-tech industry, as well as government and research. North Carolina's climate varies depending on where you re located. 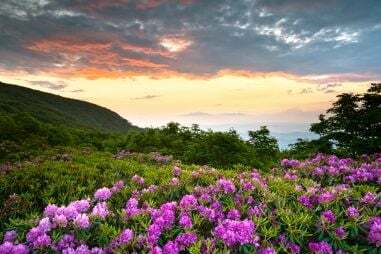 Most of the state experiences a humid, subtropical climate, except for in the far western part of the state in the Appalachian Mountains and are some of the best places to retire in North Carolina. Along the coast, the ocean moderates the temperature and provides residents with milder winters and slightly cooler summers. Summer highs along the coast are often in the upper 80s. The central region, from Charlotte to Raleigh-Durham, experiences slightly hotter summers and cooler winters. It's not uncommon for winter highs in Central North Carolina to exceed 50 degrees. The coolest temperatures in North Carolina are experienced in the higher altitudes in the western part of the state. Here, summer highs are in the mid-80s and winter highs are in the 40s. Annually, this region averages 17 inches of snow. The rest of the state experiences just two inches that tends to melt within a day or two. Recreational enthusiasts at 55+ communities can enjoy everything from beaches to mountains. Golf is a favorite activity for many residents of North Carolina retirement communities. Golf course communities in North Carolina are plentiful. The Blue Ridge and Great Smoky Mountains make for great hiking, biking, fishing and camping. The colleges and universities throughout the state provide countless sporting and cultural events. Places like Charlotte and Raleigh-Durham Chapel Hill offer a wide variety of performing arts, museums and art galleries. North Carolina ranks slightly lower than average in overall tax burden on its residents. The state income tax is graduated from 6 to 8.25 percent, depending on your income bracket. In addition, there is a $7,200 deduction for married couples who are 65 and older. Social Security income is exempt. There is a state sales tax of 4.25 percent but local governments can add to that. There are no sales tax exemptions. Real estate taxes in North Carolina range from 0.8 to 1.6 percent of the home s value. Some of the country s best healthcare is found in North Carolina. There are 126 hospitals throughout 83 counties and Charlotte has highest concentration of hospitals with seven in the city. There are four nationally ranked hospitals throughout the state, and Duke Medical Center is consistently ranked among the top ten healthcare organizations in the country. It s the largest in the state and makes up one of four hospitals in the Academic Medical Center: Duke University Hospital, Vidant Medical Center, UNC Hospitals, and Wake Forest Baptist Center.